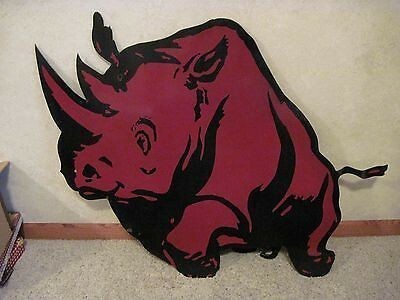 This die cut red Rhino is 39″ by 30″. This sign is one of the cooler animal porcelain signs. The red and black sign really stands out.